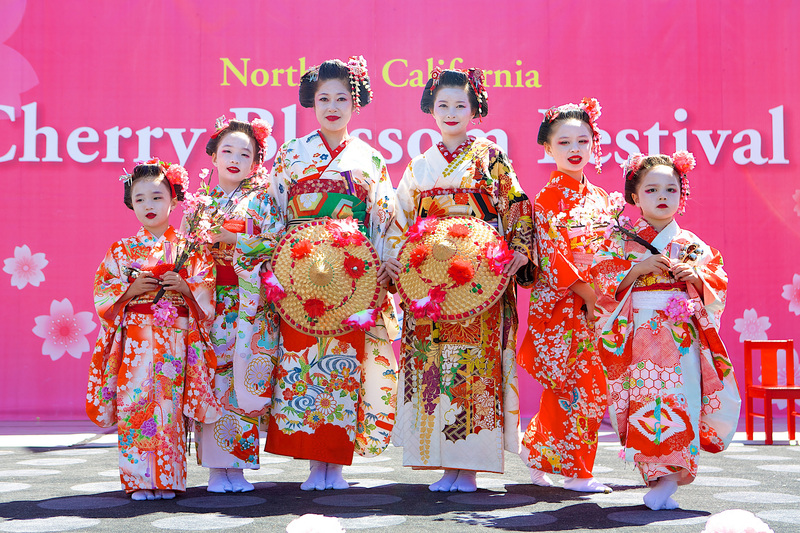 The executive committee of the Northern California Cherry Blossom Festival is proud to announce its dates for the festival on - April 9, 10 & April 16, 17 and is free to the public. The Grand Parade will be on April 17 starting from SF Civic Center and ending in Japantown. The first Cherry Blossom Festival took place in April of 1967 and now enters its 49th year and is using this year as a runway to its golden anniversary. The Northern California Cherry Blossom Festival is said to be the second largest festival outside of Washington, D.C. to celebrate the blooming of cherry blossoms; and held at the biggest of three remaining Japantowns in the United States. Every year, the festival is joined by hundreds of performers from both Japan and California to give our thousands of spectators a taste of the Japanese culture. The festival features a Japanese cultural arts area, exclusive non-profit vendor food area, Arts & Crafts area and Japanese cultural stage performances at five venues in San Francisco’s Japantown. We continue to bring the Sakura 360 (http://bit.ly/Sakura360) – highlighting the new culture of Japan. Ending the festival is the Grand Parade, and a raffle for cash, tickets and other prizes. The 2016 performers and schedules will be finalized in late March. Check our website (http://bit.ly/NCCBF) for the latest information. For media and press pass requests, please visit http://bit.ly/SFCherryBlossomMediaInfo.